This is one of the newest real estate developments found in the coveted Highland Beach area. Toscana Condominiums for sale are set amongst beautiful ocean views and are ideal for homebuyers interested in living in a gated community with luxury amenities and waterfront views. There are 423 units set among three towers, located just off of South Ocean Boulevard. You’ll be within walking distance to the beach have wonderful tropical weather year-round. Residents love living here, and you will too! Find out what draws people to Toscana Towers condominiums, or browse through some of the listings below and see for yourself! This South Florida luxury condo development is composed of three towers: The North Tower, the West Tower and the South Tower. Each unit in this building has open floor plans, luxury finishes, and features breathtaking views. Other phenomenal amenities of these units include nine-foot high coffered ceilings, solid-wood double doors, granite countertops, gourmet kitchens and custom marble baths. Living in the Toscana Towers is much like living full-time in a resort. Quick and easy access to the Toscana Beachfront, an ocean-lover’s dream! 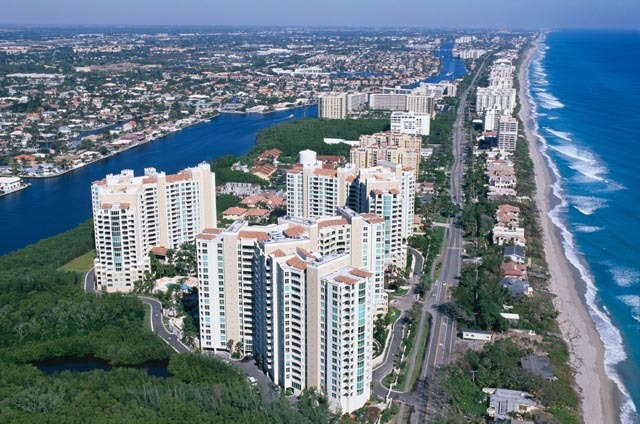 Work with Boca Premier Properties to find your new Toscana condominiums for sale, one of the top homes for sale in all of FL. We have the knowledge, experience and expertise to help ensure that your dream home doesn't slip through your fingers. Understanding the market conditions, knowing which properties will suit your lifestyle on a long-term basis and having a clear vision for the real estate landscape in Toscana is what helps set us apart from our competitors. Learn more about the Toscana condominiums real estate market or any listings in the surrounding area. The sale or acquisition of real estate is a process, not an event. Let us support you with our knowledge and experience. For more information on Toscana homes for sale or to schedule a private showing, call your Boca Raton real estate specialists – Boca Premier Properties at 561-406-8880. Contact us today to learn more about Toscana condominiums. We can help to answer questions, arrange viewings and more!